How many power sanders are too many? Or, more importantly, how many power sanders aren’t enough? Contributing Editor A.J. Moses has come to recognize that increasing your collection of power sanders and can save you A LOT of time on your projects. Plus, he’s got some tips on how to best take advantage of owning multiple sanders to keep your project efficiently moving forward. While it may seem initially expensive to add to the number of sanders in your shop. A.J. explains some of the economics that help justify having multiple sanders. When you’re ready to consider increasing the size of your sander collection, be sure to check out WWGOA’s sander reviews. This will help you determine if you hard earned dough is best spent on a random orbit, belt, or finishing sander. Each of these types of sanders is very useful, and each does a slightly different job. 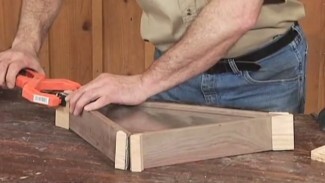 There’s a lot more to correctly using a sander than simply turning it on and plopping it down onto your project pieces. Random orbit and belt sanders require specific skills to make certain your improve the quality of your project, not diminish it. 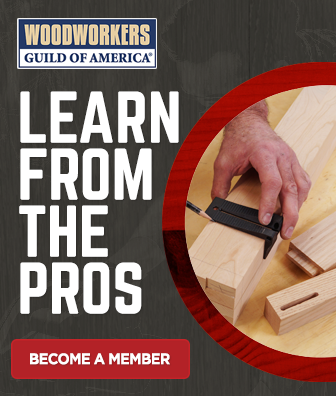 Don’t sweat it, WoodWorkers Guild of America is here to help. 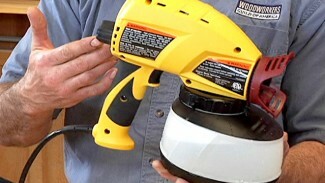 Regardless of the type of sander you’re using, we can help you learn how to use a sander. I understand the concept but even in a production setting it takes seconds to replace sandpaper on a ROS. With all due respect what was a waste of time was this video. Unless WWGOA is trying to hawk ROS purchases and if that’s true then an even larger waste of time. This clip may work out very well if some woodworker is trying to convince their spouse that they ‘need’ another ROS… Alastra, my mom taught me, a LONG time ago, if you can not say something nice about something, to keep my mouth shut… I often reuse older sanding disks until they are totally shot.. (cheapskate at heart), and have noticed the grip isn’t as good after several removal and install processes… A weaker bond will mean the disks won’t stay in place as well, and increase your sanding time. This isn’t to suggest that 2 or 3 disk changes will waste a disk, but the better the grip, the better the sanding process… IF you have several sanders, why not use them? Just my opinion. 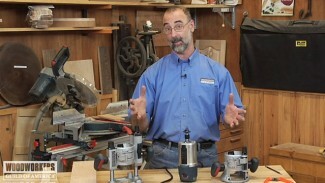 I like this idea and I see a lot of tool brands demonstrated on this site. I own a Rigid RA sander and in general they are excellent tools. My main problem with them is the position of the switches on the grips. During operation I often turn the unit off and have to restart it. Many times this on/off function causes “scuffs” on the work which has to be removed. I have written Rigid and told them about this and offered a easy fix to relocate the switch and spped control elsewhere on the body, or fashioned a molded pad about 1/4″ thick to prevent this problem, may also relieve vibration. Now obviously you all depend on manufacture support and likely shy away from negative comments about tools. However, improvising a “pad” that owners could make certainly is within WWGOA’s scope since we see many shop mods and tools you employ. Good advice, but where’s the info on being born rich? Some of us are retired on a strict budget. 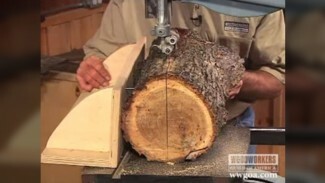 And taken to it’s logical conclusion, how about multiple table saws, planers, etc. each for a single operation? I would guess that’s out of reach for the average guy.